About Us Automotive Valves Pvt. 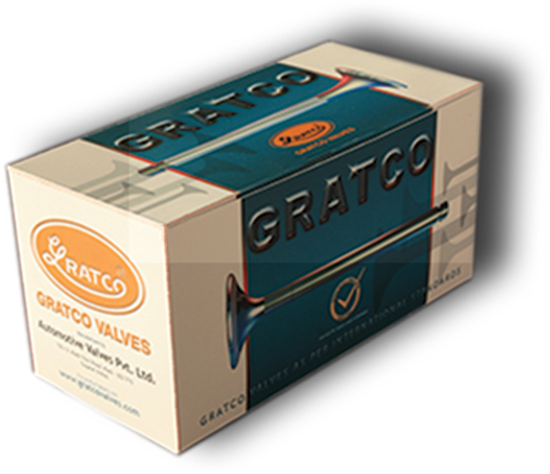 Ltd.
Manufacturing quality Engine Valves since 1988. 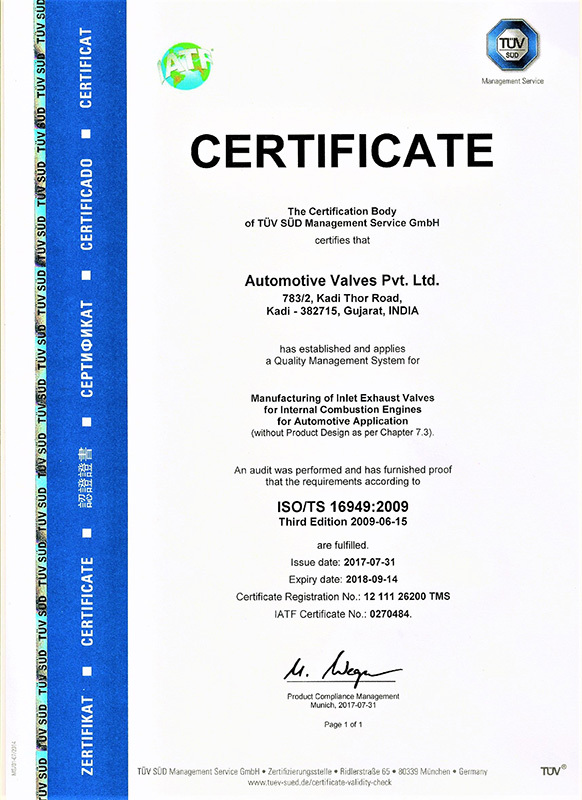 A leading manufacturer of Inlet Exhaust Valves for I.C.Engines (Engine Valves); Automotive Valves Pvt. Ltd. since its inception in 1988, is backed by a management team entrusted to customer satisfaction and progress through reliability. One of the oldest companies dealing in Engine Valves and a preferred supplier to Engine parts customers across the world! 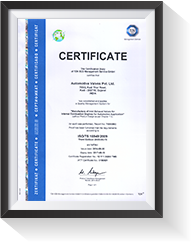 We are an ISO/TS 16949 (currently TS16949:2009) certified company since 2005. 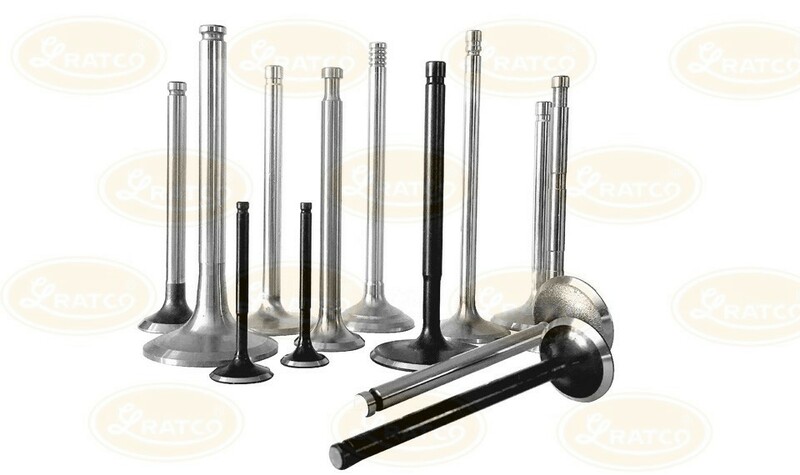 We offer a wide range of Engine Valves for Automobiles, Trucks, Tractors, 2&3 wheelers, Heavy Stationery engines, Marine Engines, Agri & Farm equipments, etc. Valves produced by us follow the OEM specifications or according to customer requirements meeting international standards. We do not just deliver an Engine Valve but we deliver an engineered experience. High performing state-of-the-art manufacturing technologies and an experienced team are the key success factors for precision in our products. 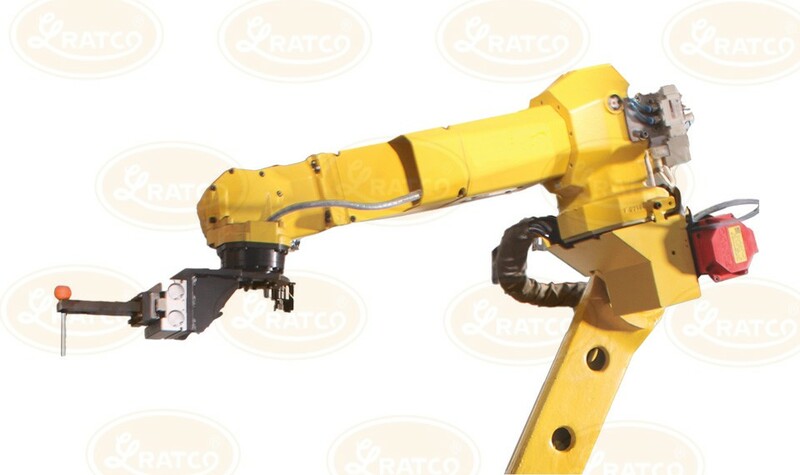 Quality is maintained right from Assortment of raw material to final packing and rendering. 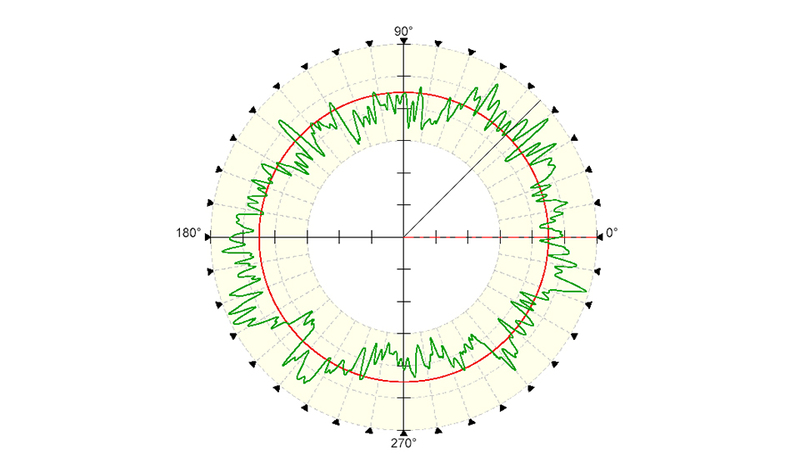 While the carefully designed Quality Control systems result in defect – free products, our Quality Assurance system ensures that impeccable standards are maintained right through the production process. Continuous improvement in product, Processes, systems, sales & services is our organization’s firm determination & commitment. Foundation laid for third production plant at Untva, Gujarat. Ashram Road, Ahmedabad - 380013. © 2019 Automotive Valves Pvt. Ltd. All Right Reserved. Please allow 1 weeks to process your request.